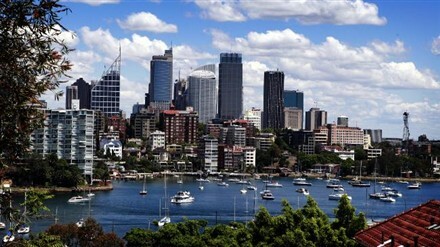 Sydney's famous Harbour vista is driving an unprecedented international land grab as overseas buyers snap up premium homes and office buildings across the city, the Daily Telegraph has reported. Demand in the CBD, North Shore, and Eastern Suburbs areas is being driven mainly by new money from Asia along with some traditional European investor. Major real estate firms are promoting Australian properties in Asian finance hubs Hong Kong and Singapore, promising safe and secure growth. "We see a lot of interest from Singapore, Hong Kong, Tokyo, and the UK," said Real Estate Buyers Association of Australia president Byron Rose. "They know the market is depressed - they are making huge capital gains and are reinvesting into the market." CB Richard Ellis staged a property expo last month in Hong Kong promoting a range of residential, commercial and retail opportunities in Australia. CBRE senior managing director of international investments Rick Butler said that one cause of the phenomenon is that Australian banks aren't lending. "The banks are saying they are lending but in my view they aren't. When we offer a major office building we are finding the top two offers are usually from a foreign buyer," said Mr. Butler. "The foreigners are there because they see Australia as safe, secure and actually having growth, which puts us in a much better position than old Europe and the US."